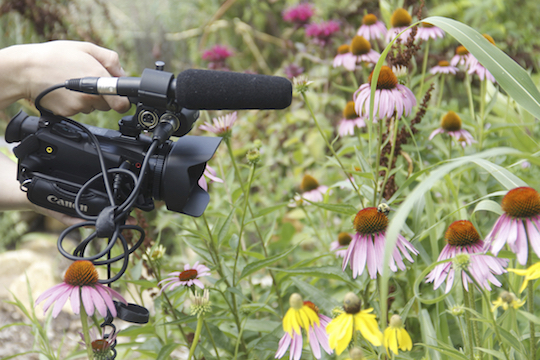 The cornerstone of the CDS continuing education program is the Certificate in Documentary Arts. Enrollment in the certificate program is not required for students to take CDS courses; however, working toward a certificate provides a more formal process for involvement and for reaching specific goals. No prior educational specialization or expertise is required for enrollment in the program. The certificate program establishes a process for engaging and empowering already motivated people to do the work they care about. Specific project goals, integral to the certificate program, create better opportunities for the successful completion of this work. In addition, certificate students can become part of a vibrant program with interested, supportive colleagues. Students are encouraged to think broadly about their projects. While most are photo, audio, or video projects, students have also completed multimedia projects, websites, books, and installations. The Distance Certificate, a two-year program geared to non-local students, includes on-site workshops and institutes as well as online courses. At the end, students complete a substantial final project. On-site offerings include summer institutes and weekend intensives and workshops, as well as winter DocuArts sessions. Off-site opportunities include online classes and distance mentoring for the final project. Required classes include the Intensive Introduction to Documentary Studies, the Introductory Seminar in Documentary Studies: Traditions class (offered online), two winter DocuArts sessions, and a mentorship after fieldwork has been completed. For electives, a combination of online classes, weekend workshops, and summer institutes totaling at least 50 contact hours is required. Final projects may be in any medium—audio, video, photography, writing, or multimedia. Click here to download Certificate Application form.